THERE IS LOUD, AND THEN THERE IS SEATTLE LOUD. FOOTBALL FANS IN THE EMERALD CITY HAVE LONG HAD A REPUTATION FOR BRINGING THE NOISE. WE COULD HEAR THEM FROM 3,000 MILES AWAY, AND IT CONVINCED US THAT THE XFL NEEDED A PERMANENT HOME IN THE RUGGED NORTHWEST. SEATTLE IS A TECH-FORWARD, ENVIRONMENTALLY PROGRESSIVE, FUTURE-LEANING CITY. IT’S A PLACE WHERE YOU CAN REIMAGINE THE WORLD. WE WERE HARD-PRESSED TO FIND A BETTER PLACE TO REIMAGINE FOOTBALL IN 2020. 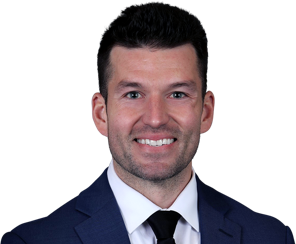 Ryan Gustafson, most recently the Vice President of Business Strategy & Development for Sounders FC, has been named President of the XFL football team in Seattle. Zorn spent 11 years as a quarterback in the NFL, having the distinction of being the expansion Seattle Seahawks’ first signal caller in 1976. He also played for the Green Bay Packers (1985) and the Tampa Bay Buccaneers (1987). A rare left-handed passer, Zorn threw for more than 21,000 yards during his NFL career, with 111 touchdowns, and rushed for 1,504 yards scoring 17 touchdowns. He played his college football as a quarterback at California State Polytechnic University, Pomona. Zorn began a successful college coaching career in 1989 as an offensive assistant and quarterbacks coach at Boise State University. In 1992, he became offensive coordinator at Utah State University for three seasons before moving on to the University of Minnesota as quarterbacks coach from 1995 to 1996. Zorn transitioned to NFL coach in 1997. He served two stints with the Seahawks, first as an offensive assistant (1997), then as quarterbacks coach (2001-2007). He also worked as quarterbacks coach for the Detroit Lions (1998-2000), Baltimore Ravens (2010), and Kansas City Chiefs (2011-2012). Players benefitting from his expertise include Charlie Batch, Matt Hasselbeck, and Joe Flacco. 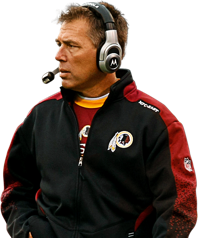 Zorn served as the head coach of the Washington Redskins in 2008 and 2009. Coach Zorn is well-known in the Pacific Northwest and will be returning to his professional football roots to build the XFL team in Seattle. The XFL will kick off on Feb. 8, 2020. Join us when we kick off in February 2020 by making a season ticket deposit today! Your deposit gives you early access to purchase season tickets before the general public. Secure your place in the league’s history now. 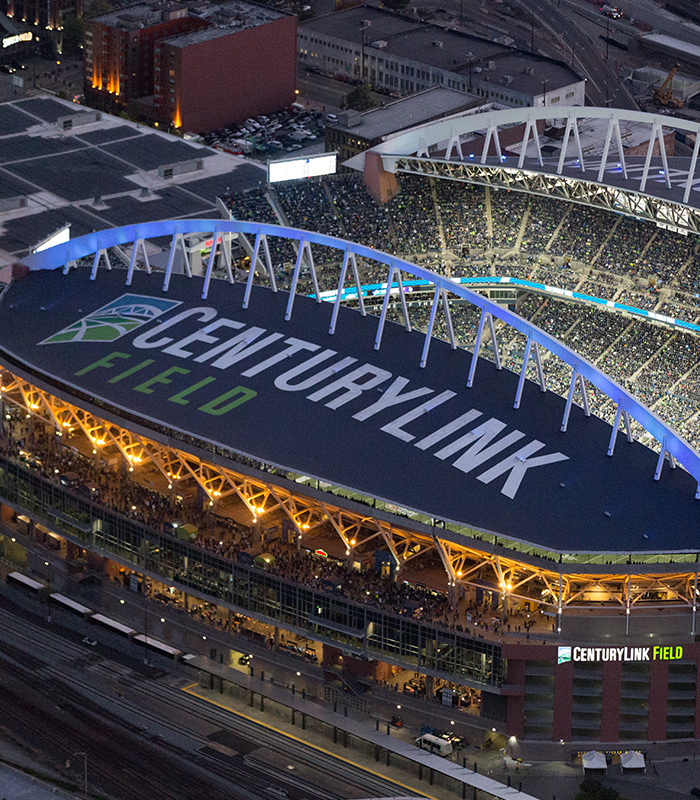 After you purchase a season ticket deposit, we will notify you when the deposit can be applied to purchasing tickets at CenturyLink Field. Season ticket deposits are non-refundable. Each season ticket deposit reserves one seat for each of the five home games. CenturyLink Field has been the home of the Seattle Seahawks since 2002, and in 2020 it will become home to Seattle’s XFL team. The open-air football stadium has a capacity of over 68,000 and a roof covering 70 percent of the seating area. Its wide concourses offer outstanding views of the Seattle skyline, nearby Safeco Field, the Cascades and Mount Rainier, Puget Sound and the Olympic Mountains. The stadium was uniquely constructed for sound and has twice held the Guinness World Record for loudest crowd at an outdoor stadium. The movement has started. Get everything you need to be a part of history. 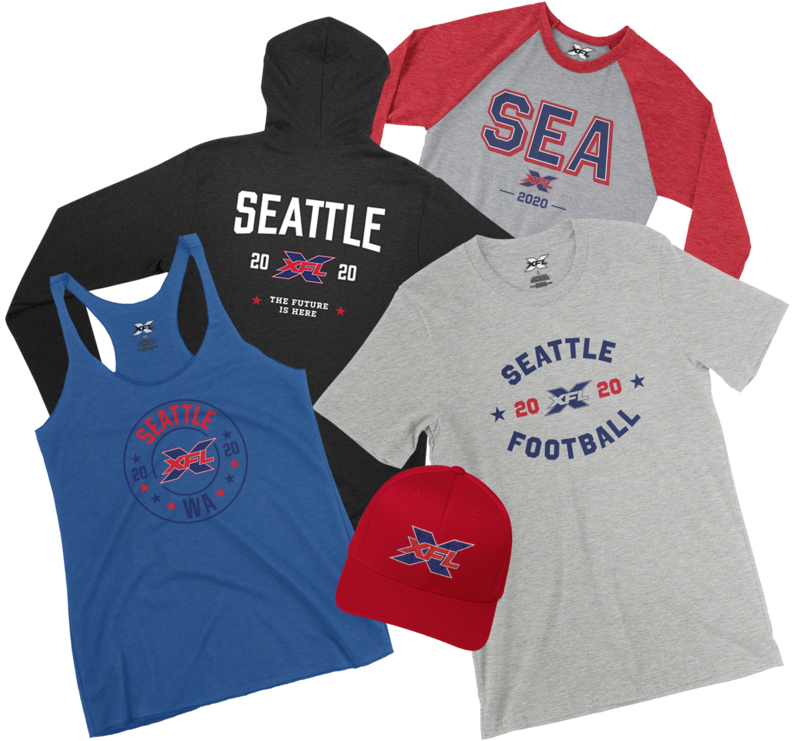 We've announced our new XFL team in Seattle, and in the coming months we will be developing teams, hiring coaches and players. Let’s build this team together! TM & © 2019 XFL. All rights reserved.